In Small Things Remembered » Frederick M. Lege, III, brings prized cattle to Afghanistan. U.S. 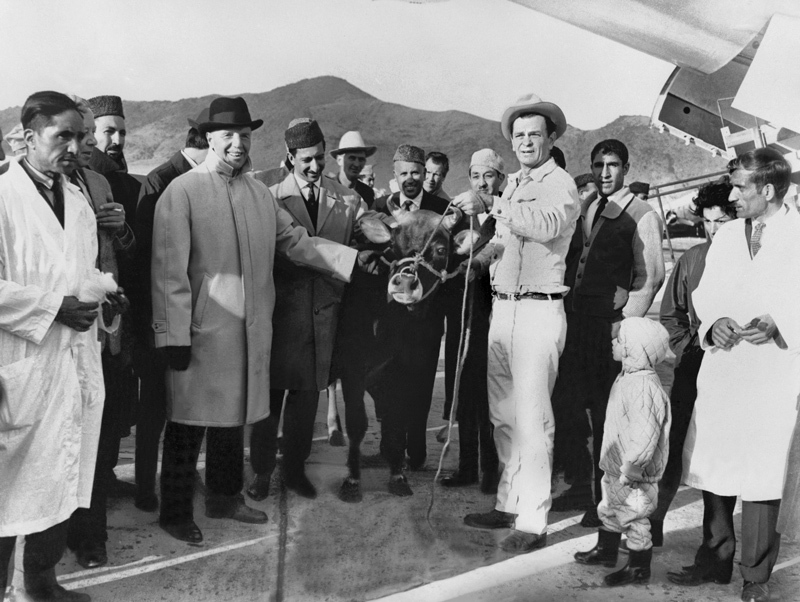 Ambassador John M. Steeves (light-colored coat and gloves) and officials from the Afghan Ministry of Agriculture welcome Lege (holding halter) and the cattle. a unique public-private partnership. Traveling 65 hours with 14 frightened animals in a cargo plane (the “Bovine Boeing”) piloted by the Oklahoma Air National Guard, Lege delivered the donation from American cattle breeders and received the King’s thanks. Courtesy of Jane Lege Yager.